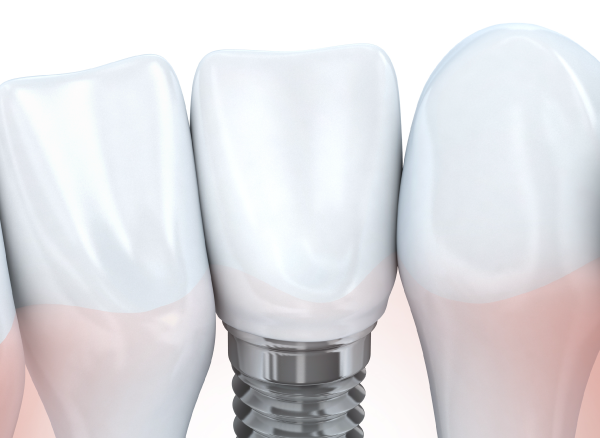 The dental implant is a screw made of titanium or zirconium which replaces the tooth’s root. 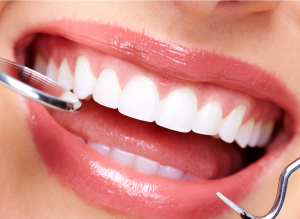 The surgical procedure consists of inserting the screw into the maxillary bone. After inserting it in the bone tissue, the osteo-acceptance stage follows, with a duration of 4 to 6 months. The second stage consists of attaching the healing head (which imposes a waiting period of maximum 3 weeks), followed by the final stage, namely the prosthetic stage. 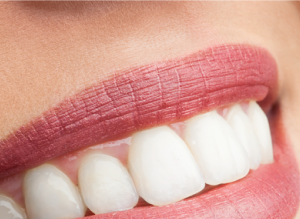 This consists of mono-dental crowns, dental bridges or prostheses. The insertion is made into the bone tissue, thus regaining the functionality and aesthetics of the teeth and tissues around them. 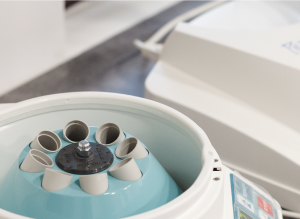 Prior to the insertion of a dental implant, a clinical examination of the oral cavity shall be performed, together with a bi-dimensional or tri-dimensional X-ray analysis, so as to evaluate whether there is enough (vertical and horizontal) bone tissue to ensure the stability of the implant. The specialised doctor decides if this is doable, if there are risks or other negative recommendations, thus setting a new appointment for the performance of the surgical procedure. The medical procedure consists of inserting the titanium or zirconium screw into the superior or inferior maxillary bone. The discomfort of such an intervention is not higher than that of an extraction. After approximately 7 to 21 days from the insertion, the doctor shall remove the sutures which helped heal the gum. After the insertion in the bone tissue, there is an osteo-healing period of 6-8 weeks or 4-6 months (depending on the type of implant chosen by the patient). The integration is followed by the attachment of the healing screw which shall be maintained for 1 to 4 weeks. The prosthetic stage is the one in which the prosthetic head is attached, in order to support the dental piece which can be a crown, a bridge or a prosthesis. The crowns can be made of various materials (metal-ceramic or zirconium-ceramic). In order to attach the dental pieces, special cement is used, as it has a very good adherence to the prosthetic head. The dental crown shall be attached with cement or screwed in. Bote-San Clinique – the medical experience that makes the difference.